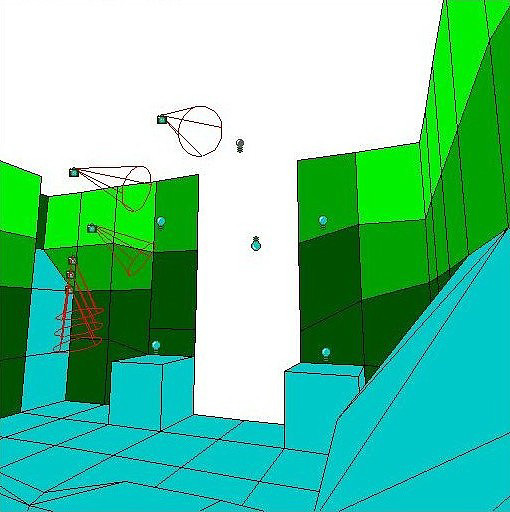 In this tutorial we are going to use four levers to flood a room after which you will be able to swim to a new area. 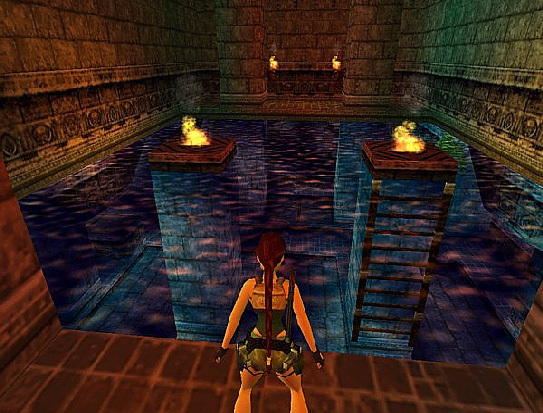 After pulling all four levers, a trap door will close in a waterfall pool in another area making it look as if that caused the flooding. After each of the four levers is pulled, there will be a camera shot of the trapdoor. When the fourth lever is pulled, a flyby cam will show the trapdoor closing and the room flooding. It will not matter in which order you pull the levers - the flyby cam will not start up until the fourth lever is pulled. 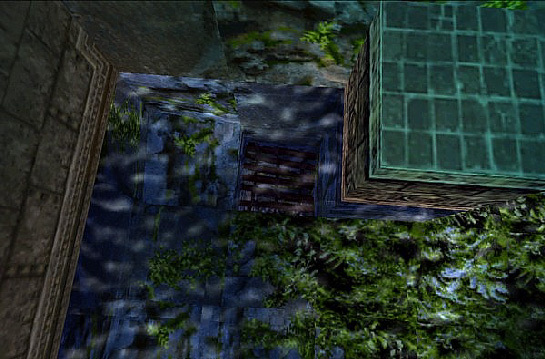 You will be able to see this particular setup in The Caves of Water level of Jungle Ruins 3. This setup will involve two flip maps so first place all your cameras and finish your texturing BEFORE making your flip maps. This is very important as if you make any changes to either the original rooms or the flipped rooms later, the changes will not be reflected in the other rooms. 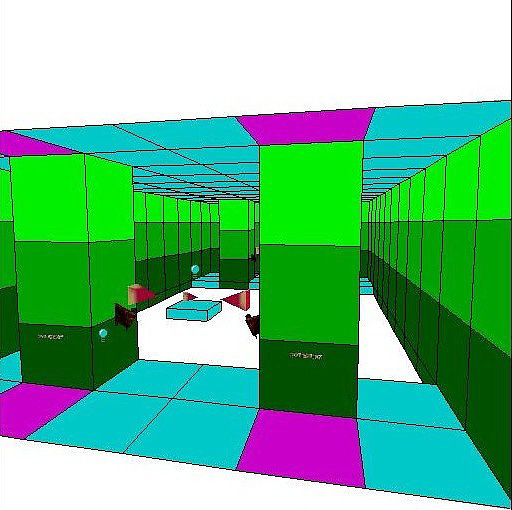 The first flip map will be in the switches room. 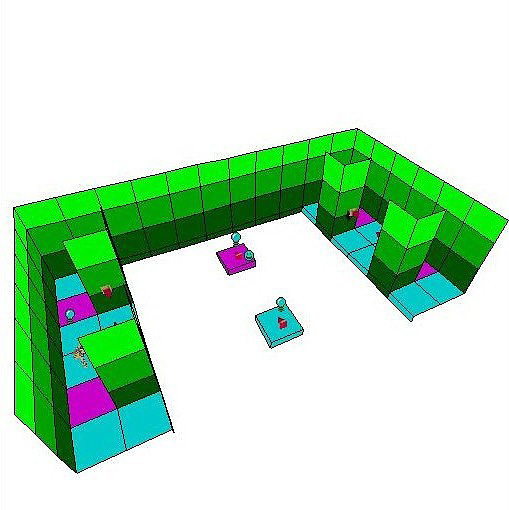 When the room flips, it will set off a flyby cam sequence which will flip the second room. Make your first flip map (the switches room) and place an ordinary trigger for it on each of the four levers. Now place your switch triggers, setting the OCBs as below so that the room does not flip until all four levers have been operated. Next, we will place four ordinary cameras and a camera target above the trapdoor in the water room. Place an ordinary camera trigger on each of the four levers, making sure each camera trigger goes on a different switch. Now place a target trigger for the camera target on each of the four levers. Nothing will happen when only three levers have been operated. Using the last switch will trigger our first flip map. Now we will set up our flyby cam sequence above the trapdoor. Flip your room and place a one shot trigger for your flyby cam on each of the four levers. There will be no other triggers on these tiles! 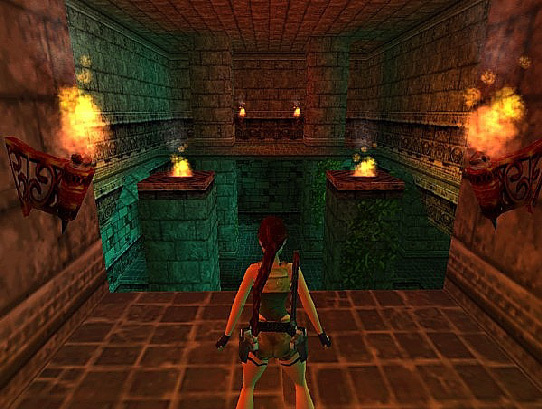 When the fourth lever is switched, it will not matter which lever Lara is at as the flip map will flip and she will be standing on a trigger for the flyby cam. 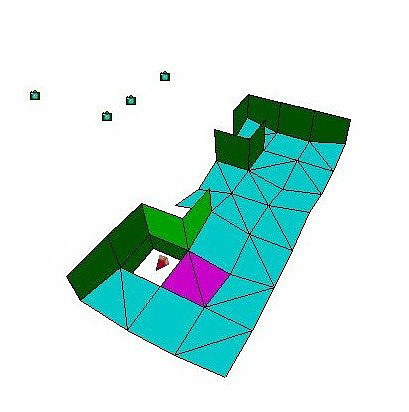 Now use your flyby cam sequence to heavy trigger the other flip maps. 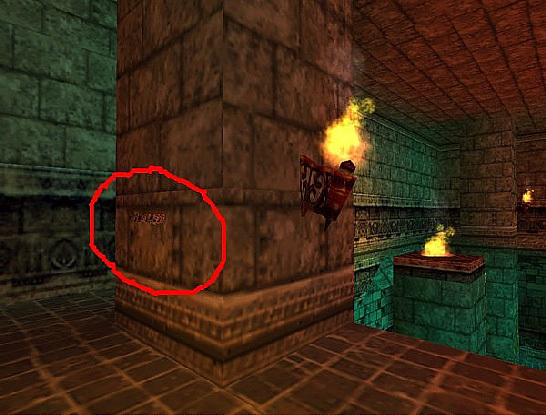 What happens is that when the fourth lever is operated, the first room flips, landing Lara on the trigger for the flyby cam. At this stage, the water below that room has not been flipped. But as the flyby cam is flying and Lara can't break out, no one will know the water isn't there yet. 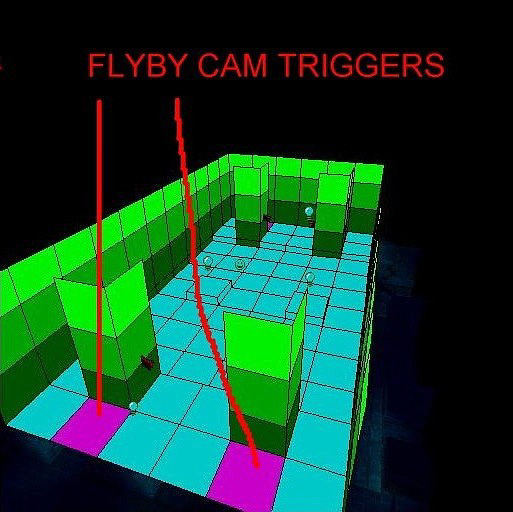 This means you can fly around with the flyby cams and show empty rooms, then flip the water rooms to give the perfect illusion of the time it takes to fill the water rooms. Then when Lara gets to look around after the flyby everything looks perfect.